The patron of a Church of England church was the owner of the advowson, which was a technical term to cover the twin rights of (1) nominating and presenting to the bishop, for approval, a potential candidate for the benefice of a church and (2) the entitlement to the income of the parish. The advowson was an asset that could be traded and could be purchased by a man or a woman, a Christian or non-­Christian, or a body such as a Dean and Chapter of a Cathedral. The patron did not own the freehold of any of the assets of the parish, but he was entitled to the income from those assets. If a church had, say, a lot of rented land then the income could be high and so the value of the advowson would be higher than others without land. There were responsibilities too. The patron was responsible for the upkeep of the parsonage and for the chancel of the church as well as the smooth running of the parish. These responsibilities are quite similar for a church belonging to the lord of a manor. (In a recent case churchwardens, rather surprisingly, presented a lord of the manor with a large bill for the upkeep of a chancel and the courts decided that he was responsible). It was not illegal for the patron to sell the right of presentation separately for whatever period of time he wished. The advowson was a perpetual advowson and so could be handed down to “heirs or assigns” for generations. It was not uncommon for the patronage to stay in one family for generations so long as there was a son who took Holy Orders, as he was allowed to nominate himself to the bishop. For a new church, the practice was for the principal donor to be the first patron, and for the church to carry his or her Christian name, so long as a saint of that name existed. When the growth of Birmingham led to a shortage of churches, a public meeting in 1771 decided to prepare a bill to put before parliament for two new churches. The first priorities for the organising committee were to start raising money and to find and persuade two landowners to donate land for a church and churchyard. The first to offer land was Mary Weaman , from her Weaman Estate, and she also offered £1200 towards the building costs. It was not uncommon for this to happen as the land around a new church would appreciate in value, and the donation of £1200 was to compensate for that. The committee then made sure that another landowner, Charles Colmore, knew about the Weaman offer. The Colmores made their wealth from the cloth trade in the fifteenth and sixteenth centuries and invested it in lands, much of it in and around Birmingham. By the 1740s the head of the family, Ann Colmore, wished to raise funds from her land and had to get a private act through parliament to allow her to sell 120 year leases for building purposes. This act she acquired in 1746 and in 1747 the selling of leases began. As Ann’s first son, William, had died, her second son, Charles, succeeded to the estates when Ann retired to Bath on an annuity. Eventually, Daniel Winwood, a toymaker and committee member reported to the committee that Charles Colmore had offered enough land, plus £200, and the right, for his lifetime, of the trustees to nominate and present to the bishop a candidate for the benefice. This right was, as described, one of the rights in the advowson and it would be quite legal for Colmore to do this. The committee agreed with this proposal and it would have been discussed with the Clerk of the House of Commons in the preparation of the bill. Surprisingly, what the Act, which was passed in 1772, stated was that Charles Colmore was to donate the land, with enough for a churchyard and a parsonage and £1000. There was no mention of the right of nomination. In fact what had happened, before the Act was passed, was that Colmore and Winwood had agreed, in a legal document, that Colmore would donate only £200 and that Winwood would find the remaining £800. The Act stated that the two churches would in fact be Chapels­-of-ease to St Martin’s church. They were not parish churches, but operated within boundaries specified by the rector of St Martin’s, to whom all fees for burials and the like had to be sent. It was of paramount importance that the rector did not lose out financially from the building of the two chapels­of­ease. The Act confirmed that Mary Weaman would become patron of St Mary’s chapel, and, as there was no St Charles, Charles Colmore would become the patron of St Paul’s chapel. A bishop could make appointments to four different types of benefice and they were archdeacon, rector, vicar and perpetual curate. As St Paul’s was a chapel of ease to St Martin’s, rather than a church with a vicar, the benefice had to be that of perpetual curacy. With such a benefice the incumbent could not be removed by the bishop and could stay until he decided to retire or for the rest of his life, and he would usually be known as the minister. The Revd Young had been a curate at St Martin’s church. Charles Colmore died in 1795 (there is a memorial to him in Hendon Parish Church) with the right of nomination and presentation having being used by the trustees once, for the first incumbent, Young. With Charles Colmore’s death the advowson would pass to whoever inherited the estate. Charles and his wife had had four children viz., Charles, Mary Anne, Lionel, and Caroline and none had married. 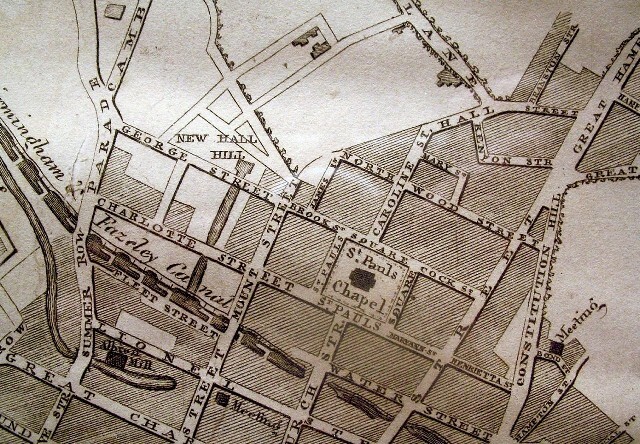 All but Charles gave their name to streets close to St Paul’s chapel, still existing today. Charles had died in 1785, and Mary Anne in 1794 so Lionel succeeded as head of the estates and became patron of St Paul’s chapel. Charles Colmore had insisted, against some opposition, that a branch of the new Birmingham­Fazeley canal be extended to near his former home at New Hall. 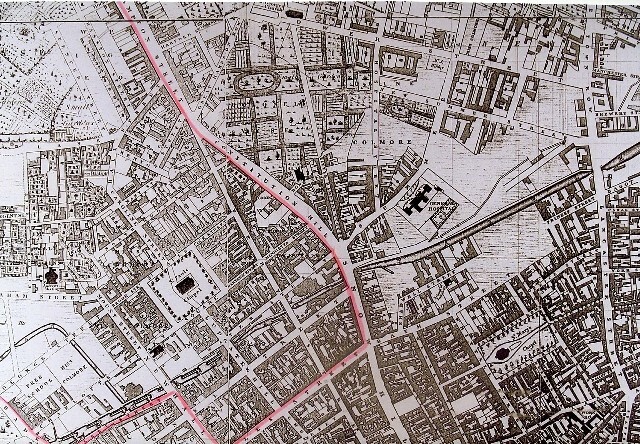 It was not long before Caroline made a similar but smaller impact on the Town when, in 1809, she had built a short arm of the Birmingham­Fazeley canal to a basin on New Hall Hill close to George Street which itself was quite close to St Paul’s chapel. Figure 2, from John Kempson’s map of 1811, shows the canal, and Figure 3, from a map of 1835, reveals that it had been extended to an area of sandpits, which could have been rather lucrative as there was quite a trade in sand from this area for the building of the expanding Town. The canal was known for some time as “Miss Colmore’s Canal”, but it was later renamed as Whitmore’s Canal and was eventually filled in, in the 1950s. The map also shows some of her land near the General Hospital. Figure 3 (below) The same canal, extended. Also Colmore land near the General Hospital. From a map of 1835, courtesy Alan Sandilands. The Revd Young, the first minister, had been joined by Rann Kennedy as his curate in 1797. It appears that the congregation decided that they would like Kennedy to succeed Young some day. An approach must have been made to the patron as it is said that the congregation, through the trustees, bought the right of the next nomination and presentation from the patron. No document has been found yet that shows who the patron was at the time, Lionel or Caroline, nor how much the congregation paid. It was £800 the first time. 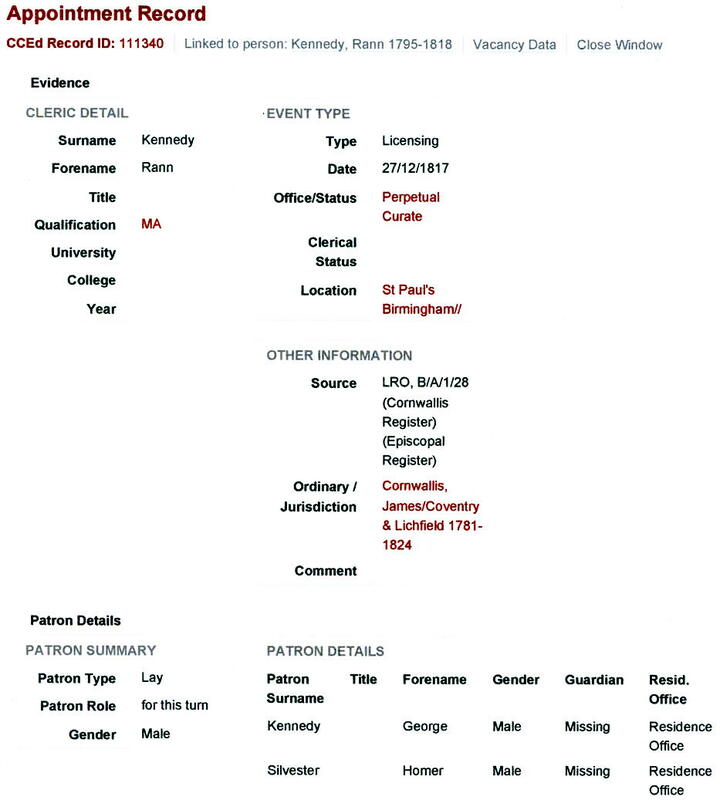 But that it did take place has been confirmed by clergy records, Figure 4, which shows that George Kennedy and Homer Silvester, acting as patrons, presented Rann Kennedy in 1817 after the death of the Revd Young. From the Vestry Meeting Book, Homer Silvester is shown to have been a Churchwarden at the time. This gave Caroline freedom to sell the advowson, and very quickly, days later, she acted. On the 1st December 1826, by an Indenture signed by three parties, viz., Caroline Colmore of Charlton in the County of Gloucester, Edward Latimer of Headington in the County of Oxford Esquire and Edward William Forty Latimer of Lincoln College Oxford, she determined the destiny of the advowson. So who were the Latimers? Edward Latimer, by the age of 23, was a wine merchant in the High Street in Oxford, a business he ran there until his death, aged 70, in 1845. In 1815 an aunt of his wife left Headington House and the Manor of Heddington to them. His wife gave birth to fifteen children in seventeen years, twelve of them surviving to adulthood, eight sons and four daughters. Five sons went to Oxford and one to Cambridge. The second son, who was the first of three to go to Lincoln College was Edward William Forty Latimer, as above. At the time of this Indenture he was 23; he took his BA in 1827 and became a clerk in Holy Orders. The first large page of the two of the Indenture recites the whole sequence of people and dates from the beginning of leasing the Birmingham estates to the codicil in Charles Colmore’s will and the succession of Caroline. Then we get the key words viz., “ ….Caroline out of regard to the said Edward Latimer and to testify her sense of the services which he hath rendered to her, hath determined freely and voluntarily to give and grant the said advowson to the benefit of the said Edward Latimer….” . If only she had stopped there, everything would be clear and simple. She had been very impressed by Edward and his services as a wine merchant and in return gave him the advowson. Instead, it takes another page to describe her intent. The manner of giving turns out to be that if Edward William Forty Latimer (at this point an undergraduate) gave ten shillings there and then to Caroline he acquired the advowson, but with strings attached. He could not exercise the presentation so long as Rann Kennedy, who followed Young as perpetual curate, was incumbent and Kennedy, then aged 54, could stay for the rest of his life. Furthermore things could change if Caroline had any “future issue male”, but she was at this point aged 58. 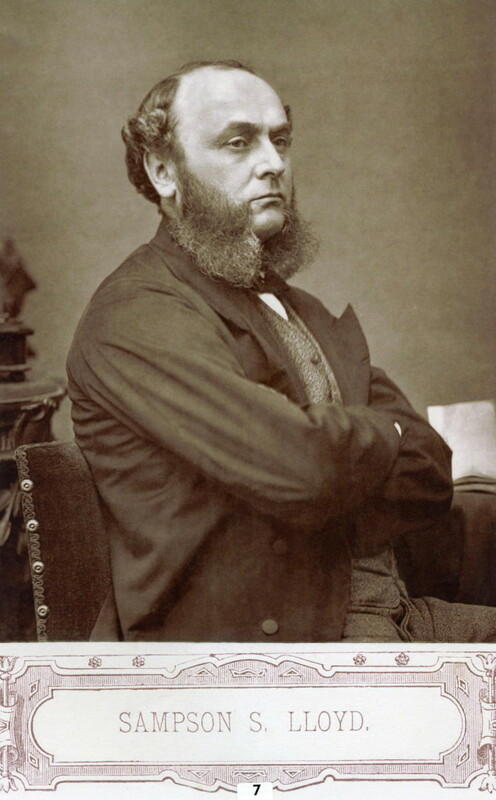 Edward Latimer could override his son and make decisions about the advowson at any time and finally the arrangement with the son would only last for the “natural life” of Edward Latimer. Thereafter Edward’s will would determine what happened to the advowson. Out of all of this it is difficult to say who actually owned the advowson after the signing of the Indenture. Because money changed hands (albeit only ten shillings) it looks like the fourth patron was Edward William Forty Latimer, but the intent was so much for Edward himself to be patron that he and his son are considered here to be joint patrons. It may have been that the son was brought into this arrangement because he was close to graduating and taking Holy Orders, and there was a chance, albeit rather slim, that he could present himself at St Paul’s within a few years. In fact in 1829 he became rector of Waddesdon in Buckinghamshire, and stayed rector until his death in 1881. We have no knowledge of the route he took to become rector. When Edward Latimer died in 1845 his will stipulated that Headington House and all other land and property were to be sold. Edward William Forty was left very little, in that he had just a one tenth share in the money from the sale of 15 High Street, the site of the wine merchant business, and he had to wait 27 years to get that, as his father had stipulated that it was not to be sold until after his sister Jane’s death. It all suggests that Edward William Forty was out of favour with his father. It would not be surprising if he was also out of favour with his congregation. In the census returns for 1851, 61 and 71 he was living in Kensington, latterly with a housekeeper and a servant. A curate lived in the Waddesdon rectory. Eric Hopkins has written that there was little Anglican leadership in Birmingham during the first decades of the nineteenth century. The rector of St Philip’s divided his time between lectureships in London and livings in the country so that only occasionally was he to be found in Birmingham, and the rector of St Martin’s lived at his other rectory in Solihull until his death, so the behaviour of Edward William Forty may have been the norm for Anglican rectors of that period. When Caroline Colmore died in 1837 another son of Edward Latimer, the third, Digby, was named in her will as a trustee of the Colmore estates. He seems to have become the Land Agent for the estates and was certainly busy in Birmingham during the many land transactions involved in the building of the railways and New Street Station. On the death of Edward he also became trustee for the Latimer estates in Birmingham. 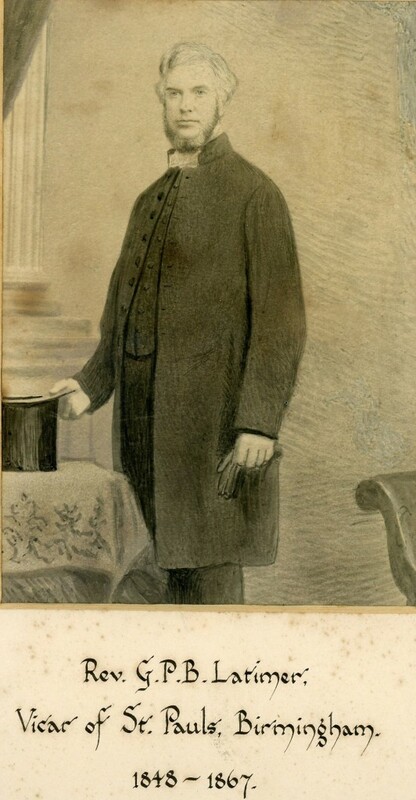 It was not until Rann Kennedy retired in 1848 that George Latimer (Figure 5, below) was able to nominate and present himself to the bishop and become the next perpetual curate of St Paul’s chapel, and the first joint patron and incumbent. He and his wife and daughter came to live in the parsonage at 42 St Paul’s Square. In 1853, just 5 years into his incumbency, Latimer had a report on the parsonage prepared for him. This reads…. “Report to the Revd G B P Latimer as regards the Parsonage St Paul’s Birmingham. The Property consists of a comfortable and commodious family Dwelling recently put into good condition and repair­with Garden and Spare Land Carriage house and Stable together with a building applicable to the purpose of a School or a tradesman’s warehouse and office. The situation forms the corner of St Paul’s Square and Brook Street looking into the Churchyard, and is convenient for the residence of the Clergyman­but surrounded as it is by manufactories, and possessing such a Street frontage it has become more suitable for trade purposes. My opinion is that, being Freehold, the premises are worth Two Thousand Pounds. Ebenezer Robins Birmingham 24 Jany 1853. Sketch of Revd Latimer, probably from a photograph. St Paul’s church records. There is an undated and unsigned document in Birmingham Archives and Heritage (BAH MS1280/58), transcribed in Figure 6, that seems to link in with the report above. Its heading starts.. “The Advowson and right of Presentation of and to the Chapelry of St Paul, Birmingham….”and is mainly about the income and outgoings of the incumbent. All of the items but one are cash items, the exception being “Parsonage House, estimated annual value £100­0­0”, the full value normally being 20 years of rent. On this basis the value of the parsonage would be £2000, exactly as above. The incumbent did not pay any rent, but the value of the house to him appears this way, as it would affect the value of the advowson. This would put the date of this document at around 1853. The incumbent, as occupant, would have had to pay any taxes or levies on the property, but they were private matters and outside the scope of the churchwardens. The later Footnote (a) adds greatly to the interest in this document. We learn that shortly after his induction Latimer was receiving income from sittings at the rate of £260 pa, just a small drop on the previous £280, but “now” it had dropped to £160 pa. This was attributable “to the offence taken by members of the Church to the fixture of two candlesticks at the Communion which had been presented by one of the congregation”. In approximate numbers, the capacity of the chapel in pew sittings was 800, the actual with Kennedy was 560, it had dropped to 520 with Latimer, but it was now 320. Some 200 of the congregation had left over the candlesticks, the price paid for a move from low to high church. The comments about schools form part of the original document, before footnote (a), and suggest that the whole thing was in the nature of a prospectus for the sale of the advowson, but not yet. The Advowson and right of Presentation of and to the Chapelry of Saint Paul, Birmingham with District assigned by the Bishop of the Diocese out of the Parish of Saint Martin. Extent of District—half a mile North and South ­­­less than half a mile East and West. The Present Incumbent received £260 per Annum soon after his induction , but his receipts from Pew Rents now are only £160 per annum and the decrease is attributable to the offence taken by Members of the Church to the fixture of two candlesticks at the Communion which had been presented by one of the congregation. Further evidence for Latimer’s High Church inclinations come from the writings of the Revd J S Pollock. On Sunday January 31st 1861 Pollock joined St Paul’s chapel as assistant curate. He wrote that after the mid­day service “… I asked my Vicar, as soon as we came into the vestry, whether the congregation was as large as usual. He said it was and I began to realise what work in Birmingham meant. The Vicar….was in bad health, ( he also used the words “semi invalid”) and most of the work was left to me. The population was 16000, the church was miserably attended….there were daily services morning and evening and almost daily funerals….after twelve months at St Paul’s I broke down and had to resign my post”. Pollock was a devotee of the Oxford Movement and thought that he had persuaded Latimer to set up a mission in a hut, but Latimer changed his mind. Latimer and Pollock must have had similar views on the Oxford Movement and the Catholic Revival as in that year, 1861, they published a book entitled “Pastoral Advice of the Revd John Wesley extracted from his works”. Apparently Wesley viewed the Catholic Revival quite favourably. After leaving St Paul’s Pollock did set up a mission which grew to become St Alban’s Church in Birmingham, an Oxford Movement High Church where all seats were free. 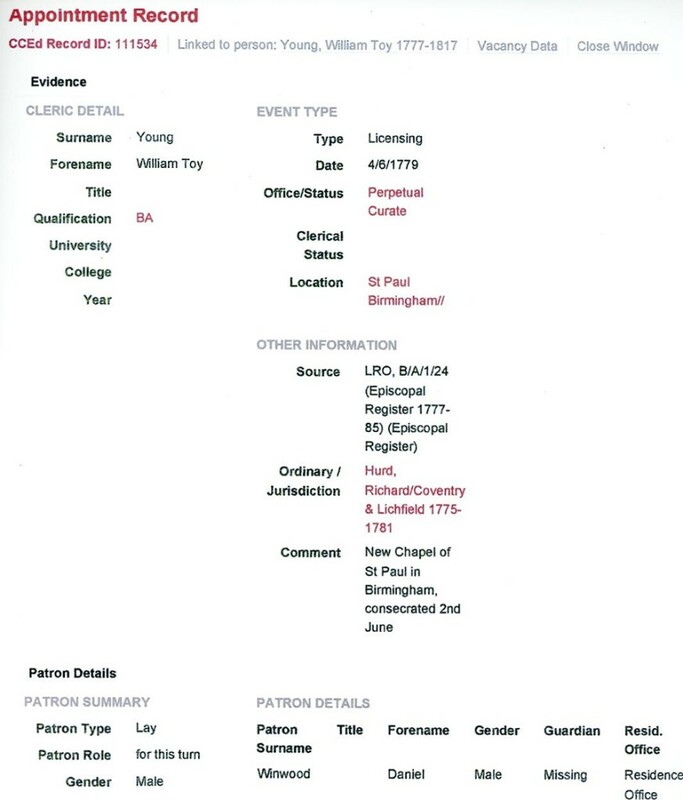 “Report to the Revd G B P Latimer as regards the District and Parsonage of St Paul’s Birmingham. This removal of the former inhabitants has very materially reduced the congregation in number and character and of course the amount of revenue from seat rents and the aid of the congregation by voluntary contributions has sadly fallen off. The fees for burial I suppose since the establishment of the Witton Cemetery are entirely lost. The Parsonage was in a suitable situation with reference to the Church so long as the former inhabitants and congregation remained and was perhaps not too large so long as the revenue was derived but it now appears unsuitable in both these respects and there is no doubt it is more valuable for application to trade purposes for which the buildings all round the Square are now appropriated and I do not observe a single instance of a void and in fact the whole surrounding district appears to be devoted to manufacturing and trade purposes and large establishments are now in course of erection and there is a probability and I think I may say a certainty that the site would be sought after for such purpose . The Freehold of the property part whereof is occupied by the Revd Mr Latimer and other part as a refreshment and reading room I think is worth from Two thousand Pounds to Two thousand Guineas”. To all intents and purposes the valuation was the same as in 1853, and no matter whatever purpose it served for Latimer, this document exposed the state of the Square and his deteriorating income, through a dwindling and poorer congregation, the loss of burial fees after the opening of the Town cemetery in 1863.Financial pressures must have been building up on Latimer, as on the 6th April 1865 he negotiated a financial instrument with The Birmingham Financial Company Ltd. There was thus a prospect that if Latimer defaulted the advowson could fall into the hands of the Birmingham Financial Company. Some ten months later he married for the second time. On February 22nd 1866 he married Elizabeth Clark, a daughter of William Clark of Bedford Hall in Northumberland. Around this time he had troubles with a female member of his congregation who had protested, in church, about his proposed marriage. She also published a malicious libel about him, which resulted in Latimer taking her to court, Warwick Assizes, where she was found guilty. Sampson S Lloyd. Reproduced from the magazine version of the first edition of Dent “Old and New in Birmingham” 1880. The final paragraph reveals the magnitude of the problems Latimer must have had, a net income of £60 a year, which could not be augmented because he owned the patronage. His significant inheritance will have dwindled, perhaps to the point that he just had to sell. Things did not go well for him after his departure. He joined his aforementioned brother, Digby, in a business as chemical agents. There is a report in the Times of 25th January 1871 of their bankruptcy and he died in that year in Northumberland, aged 62. It is often written that in 1867 St Martin’s trustees took over as the patron of St Paul’s. It is a fine point, but the fact is that they did not. The trustees of St Paul’s happened also to be the trustees of St Martin’s. The records of St Paul’s show subsequent meetings of St Paul’s trustees to elect a new trustee. Whether or not St Paul’s trustees and St Martin’s trustees chose the same person to fill a vacancy they would both have had has not been determined. It did not take long for the new incumbent, now a vicar, Revd R B Burges, to put in an application for the sale of the parsonage. The church records show a document of 20th February 1870 entitled, “Commission of Inquiry and other papers relating to the sale of the Residence house”. The title gives the impression that perhaps something had gone wrong with the sale, but that was not to be. It simply meant that the bishop of the diocese, the Bishop of Worcester, set up a small group of commissioners to examine the application from Burges and make a recommendation to the bishop. The commissioners included the rectors of St Philips and St Martin’s and Sampson S Lloyd. The application was called a memorial and Burges was the memorialist, and naturally there had to be a valuation of the property. Thomson Plevins put in a value of £2500 which the commission used in their recommendation, and also a sale by private contract, which the bishop approved. It was 1872 before a new parsonage in Handsworth was approved. A comparison of the names of those first trustees in1867 with those in 1881 reveals that Kemble and Auriol had died, Therold had become Bishop of Rochester, Bayley had become the Revd Sir John etc Bayley and he was then vicar of St Paul Paddington.The new trustees were the Dean of Ripon and the Revd Field Flowers Goe, the rector of St George Bloomsbury, an appropriate place for his Christian names. He subsequently became Bishop of Melbourne. A church record shows that the Revd Sir John etc..Bayley resigned in 1913, after serving for 46 years as a trustee of St Paul’s. The last church record showing an appointment of new trustees of St Paul’s is dated 1939.